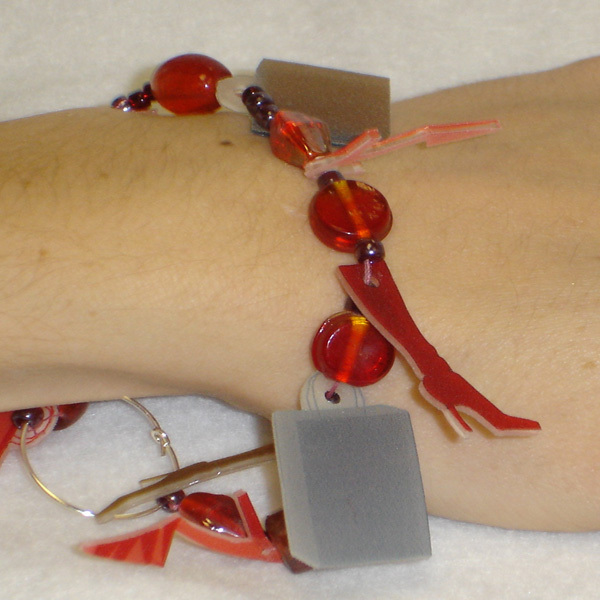 Project Description: Learn how to custom make your own jewelry or create a special piece for a loved one with Grafix Shrink Film. Print out images of shoes and shopping bags. You can download and print the images we have used here. Cut out shrink film and punch a hole in all pieces. Bake shrink film according to the directions on the package. Thread the shrink film on to the thread alternating shrink film with beads. When complete, tie the ends together or use a purchased clasp.